NO. 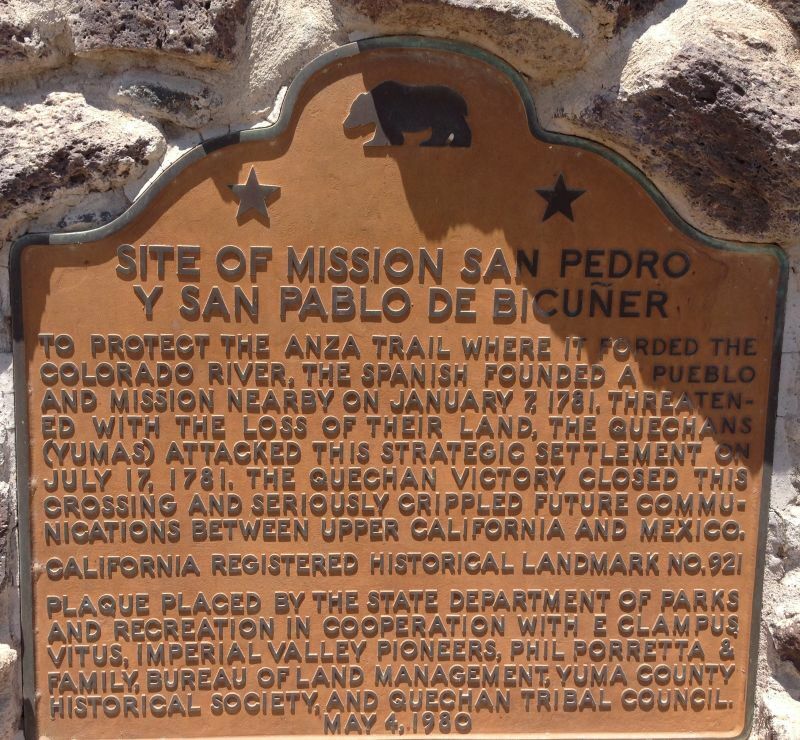 921 SITE OF MISSION SAN PEDRO Y SAN PABLO DE BICUNER - To protect the Anza Trail where it forded the Colorado River, the Spanish founded a pueblo and mission nearby on January 7, 1781. 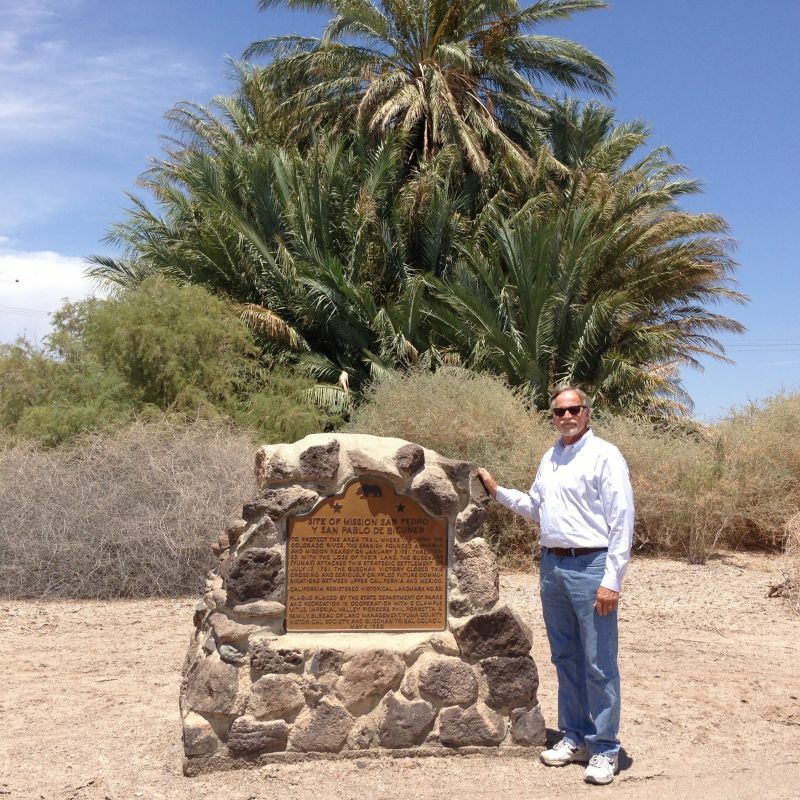 Threatened with the loss of their land, the Quechans (Yumas) attacked this strategic settlement on July 17, 1781. The Quechan victory closed this crossing and seriously crippled future communications between upper California and Mexico.